Challenge #9 in the Macro series. Hosted by Michael Piziak. 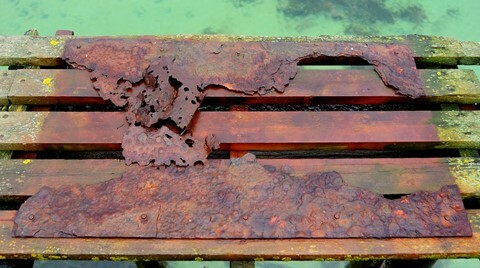 Take a macro photo of rust or corrosion. If you don't have a macro lens, a closeup cropped image is acceptable. 92 Where Are The Anti-Exposure Triangle Solutions? Methods? 60 Do you consider Photography to be a cheap hobby? 37 Damn the Z6 - really annoying! 35 Who does black & white landscapes these days?? 34 How often do you see Fuji in the wild? 25 Will Nikon mirrorless take better advantage of DX size? 21 Hot shoe mounted recorder with a hot shoe? Does it exist?